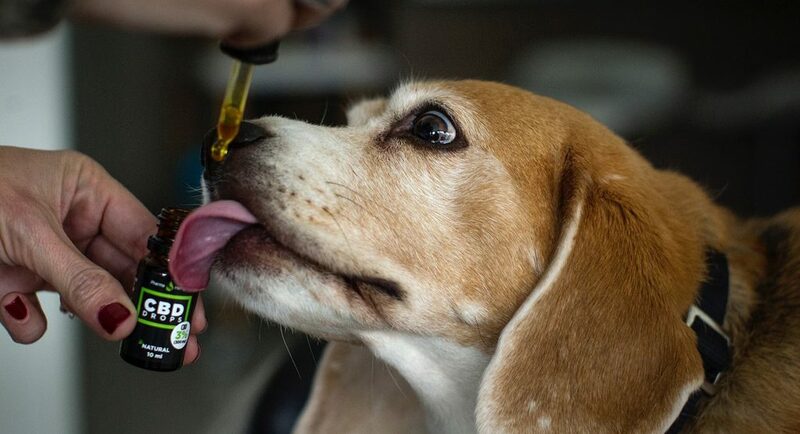 The first thing most people assume or question when they hear about CBD oil for dogs is “Does this mean my dog will get high?” And the simple answer to that question is, absolutely not. When it comes to your dog’s health and happiness, there are plenty of organic, long lasting and safe methods out there. You do not always have to assume that pharmaceutic drugs, which are only temporary and do not cure most problems are the only options. Opting for holistic practitioners for certain health concerns may be a smarter choice in today’s world. CBD oil is proven to be safe, effective and a healthy solution to your pet’s needs. The issue with modern day western medication, is all the side effects associated with them which can unfortunately do more harm then good. Giving your pet CBD oil is beneficial to them because it is a simple natural oil, that is extracted from a hemp plant, not a marijuana plant, that encompasses no harmful side effects or possible health damage over time. Along with helping animals, CBD oil also provides solutions for humans. Both humans and animals share the same Endocannabiniod system, a set of receptors in the brain that controls basic emotions. CBD helps control those emotions and bring them to a healthy state and free uncomfortable symptoms. CBD, which is short for Cannibidiol is a non-psychoactive agent containing no THC. It is important to know and understand that CBD oil will not get your pet high and cause absolutely no harmful changes to their psychoactive state. When CBD oil is administered, always in the correct dosage, it has a calming effect on your pet and can treat many behavioral as well as physical disorders/disabilites. CBD interacts with the nervous and immune system causing it to relax and stay calm. It is 100% safe for your pet and is a smart and natural alternative treatment for any pet dealing with crippling issues. It will give your pup who is struggling, a better quality of life, comfort and relief. And the best part about CBD oil is that it is legal in all 50 states and does not require a prescription to purchase! Rachel has been working in the Pet Care Industry for the last few years and started her career in a local Canine Health & Fitness Center that also incorporated canine hydrotherapy, dog daycare & boarding. While working at Rocky’s Retreat, under the previous ownership of Sherri Cappabianca and Toby Gass, Rachel became certified in canine hydrotherapy and they taught her everything she knows about canine care, hydrotherapy, health and fitness.